My wine group got together last night for our annual summer evening of Champagne. Our location was the house of good friends Ed & Joan, on their deck over the waters Lake Samammish – a perfect setting for tasting a lot of wonderful bubbles. The wine group of 8 guys meets about 10 times per year, and we generally do Champagne in the summer. This is the one time of year that all of our significant others join us. My wife is always happy about it, because she loves Champagne. Most of our wine tastings are blind, but not this time. Ed and Joan made a wonderful flank steak with green beans cooked in some sort of bacon fat – and the most amazing potatoes cooked in duck fat! It was the perfect pairing for the Champagne and an excellent way to kick off the pending trips to France that three of the couples are planning this fall. When we have people over for dinner, we generally start the evening off with some Champagne. Most people think of Champagne as something you open for a special occasion. I say Champagne is great for any day of the week – life itself is enough of a celebration, and we certainly proved it last Tuesday night! Thanks Ed and Joan! 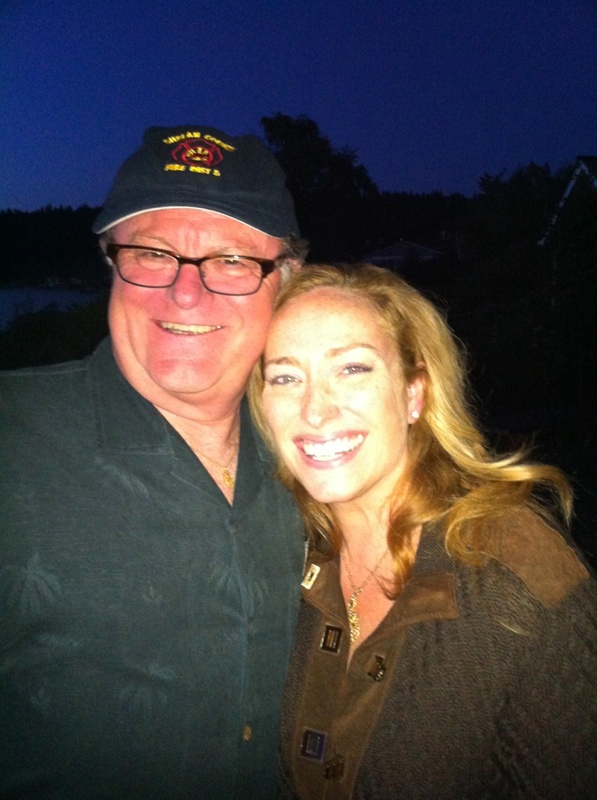 My wife, Christina, with good friend Bill Schallert from Youngs Market Co. at the champagne tasting.